Wendy Brandmark is a fiction writer, reviewer and lecturer. She writes both novels and short stories. Her first novel, The Angry Gods, (Dewi Lewis, 2003, US edition 2005), explores racism and difference in New York City in the 1950s and 1970s. The Angry Gods received excellent reviews in The Times Literary Supplement, The Independent and The Guardian. 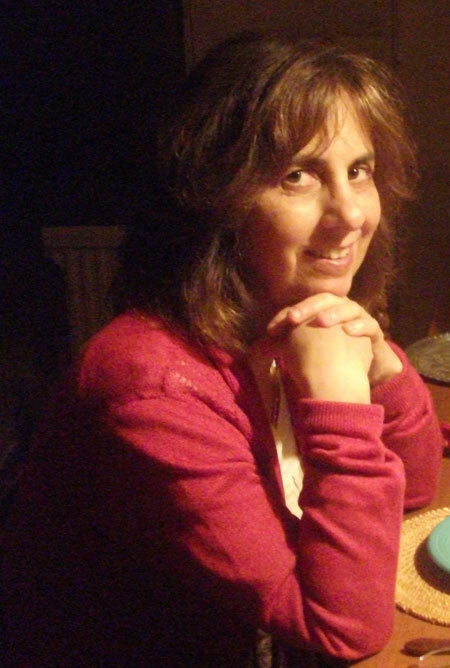 Wendy’s short stories, set in New York, Boston, Denver and London, have been widely published in British and American magazines and anthologies, including The Massachusetts Review, Riptide Journal, Stand Magazine, Lilith Magazine and The Warwick Review. The Denver tales of outsiders, thieves and east coast refugees originate in the rundown Capitol Hill area of the city in the early 1970s. The New York and Boston stories focus on childhood and coming of age, and the London stories look at the deceptions of memory, the way the past merges into the present. She received an award from the Arts Council England in 2006 to fund the writing of short stories. In 2013 she was a fellow at the Virginia Centre for the Creative Arts where she worked on the first draft of a novel. She has been awarded a writing residency for 2014 at the Tyrone Guthrie Centre in Ireland. Wendy reviewed fiction for many years for a range of publications, including The Financial Times, New Statesman and The Listener. Her most recent reviews have appeared in The Literary Review, The Independent and The Times Literary Supplement. She has taught creative writing in London for over fifteen years. She shaped and directed the creative writing programme in Birkbeck College’s Faculty of Continuing Education and has taught creative writing at all levels from beginner to advanced. At present Wendy supervises second year students in the Oxford University Master of Studies (MSt) in Creative Writing, and she teaches fiction writing at The City Lit. Wendy is currently working on a short story collection and two novels. Wendy has always lived in cities. She grew up in the Bronx and went to university in Boston. London is now her home. More information is available from her website. The Stray American, a novel about being uprooted and the search for identity while living in a foreign country, was published in December 2014. The Stray American was longlisted the for Jerwood Fiction Uncovered Prize in 2015. Wendy’s short story ‘The Other Room’ was shortlisted for the inaugural Royal Academy and Pin Drop Short Story Award in 2015. ‘The Other Room’ will also appear in Wendy’s new short story collection He Runs the Moon – Tales From the Cities which will be published by Holland Park Press in April 2016. You can read another story, ‘Where Have You Been?’, from Wendy’s new collection on JewishFiction.net.